beDSP Feel free to buy the beDSP products. Audio Loudness Meter VST, AU and AAX plugin, BS1770 (rev.3), EBU R128, ATSC A/85 and ARIB TR-B32 compliant. 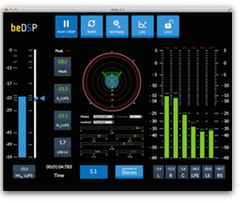 Audio Loudness and True Peak Meter VST, AU, AAX plugin and standalone application, BS1770 (rev.3), EBU R128, ATSC A/85 and ARIB TR-B32 compliant. 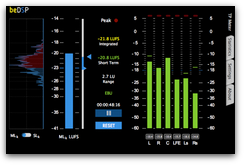 Loudness Normalizer and True Peak Limiter – VST, AU, AAX plugin and standalone application based on BS1770 (rev.3),EBU R128, ATSC A/85 and ARIB TR-B32. 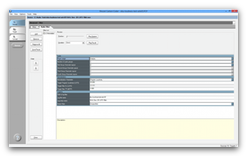 Audio Loudness and True Peak Meter application, BS1770 (rev.3), EBU R128, ATSC A/85 and ARIB TR-B32 compliant. Harmonic’s Rhozet® Carbon Coder Loudness Normalizer and True Peak Limiter.